3 Beds 2 Baths 1,277 Sq. ft. Your new home features a large open floorplan, recently updated kitchen and bathroom, two covered parking areas with openers, large sunroom, spacious living room, and huge backyard with large storage shed. 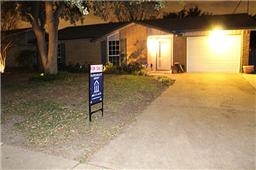 Great location, nearby shopping, dining, and quick hwy access.